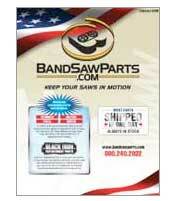 Band Saws, Used Band Saws, New Band Saws, Band Saw Replacement Parts. Trajan Horizontal bandsaws Utility Band Saws - Trajan utility medium duty saws are designed by people who know the metal cutting industry. Albany Machine is a production machining job shop located in Albany Minnesota that offers affordable CNC machining and assembly services. Die-Tech Industries was founded to provide the best in quality tooling and precision machining fast and at lower costs, while still providing the highest level of customer service. JD3D Designs, Machining and Mold Making utilizes the latest technologies for mold building and has an array of machines to help with our manufacturing needs. JD3D Designs, Machining and Mold Making utilizes the latest technologies for mold building and has an array of machines to help with our manufacturing needs. We work close with our customers from product development to manufacturing tooling to production. CNC machining for electronic, recreational, automotive, packaging, and environmental industries. Fast quotes, low prices with just in time service. Machine Shop Houston Texas - Machining and Grinding Facility - G & G Machine and Maintenance, Inc.
Houston Machine Shop with an expertise in Industrial Service and Manufacturing, Machining, Fabricating, Grinding, Maintenance and Service. Contact us for quality sheet metal fabrication and CNC machining plus laser cutting, welding, and precision CAD design. Located in Castle Hayne, North Carolina. Radiator Guards, Rad guards,Coolant Recovery Tank,Engineered and Manufactured products for Enduro Racing. Radiator Cage, Thumper Talk,Coolant Recapture Tank, protects your bikes from overheating on trails/rides. Full Billet Aluminum Protection for Radiator Guards against damage to radiators during falls and crashes. At Nix Screw Machine Products, we do what we say we'll do when we say we'll do it. Honesty and old fashioned hard work will make us your go to machine shop for custom parts and products. Vic's Turning Company is a family owned machine shop that specializes in precision milling and turning production parts. Major industries that we serve are Automotive, Locomotive, fittings, Transportation, Machine Tool, Medical Equipment,Aircraft. Complete CNC Milling and Turning Machine Shop. Zakobe Metal Stamping handles precision metal stamping ,rapid prototyping. We manufacture quickly using stainless steel, copper,and many other metals for short or long run metal stampings. 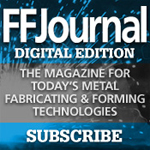 FFJournal reports on breakthrough technology and innovative manufacturing systems used by fabricators and OEMs. 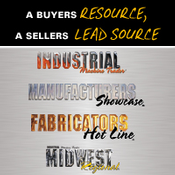 Industrial Machine Trader, has thousands of new and used industrial machinery for sale. Machines such as cnc, lathes, phase converters, industrial auctions, and fabricating equipment. Houston Metal Cutting services in Houston, TX. 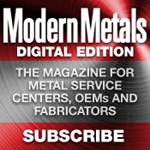 | Accurate and Timely Metal Cutting Solutions. 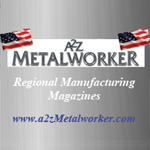 Talk to Houston Metal Cutting about Precision Metal Cutting Systems, Standard to Exotic metal material cutting capabilities, State of the art metal Cutting Technology and all your metal cutting needs and solutions. When you need your bandsaw repaired give us a call. We repair most brands of bandsaws. Parts in stock include guides, bearings, belts and many others with over 1 million dollars worth of inventory. New Hem Saw and Trajan bandaws available.